Today marks probably one of the sweetest days on the Polish calendar. 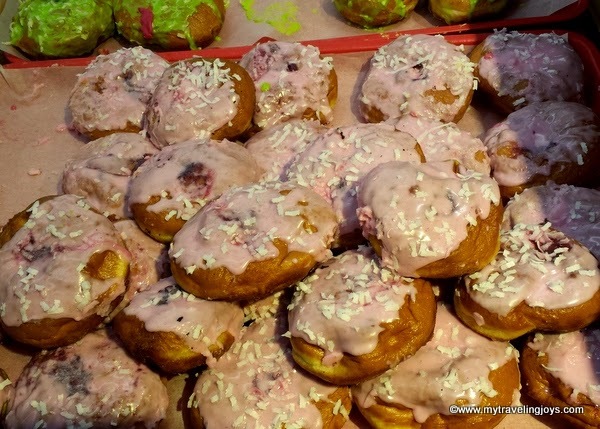 Locally known as Tłusty Czwartek (Fat Thursday), this day allows you to greedily stuff your face with as many Polish doughnuts as you can before the fasting season of Lent begins. This is the Polish version of Fat Tuesday! Instead of parading and partying like other Catholic-observant countries do for Mardis Gras, the Poles stand in long, long lines to purchase pastries from the cukiernia (bakery). The most popular Polish pastry, particularly on Fat Thursday, are pączki – large, deep-fried doughnuts. These sugary sweet doughnuts are typically filled with cherry or rose petal jam, glazed with sugar, and then sometimes topped with candied orange peel. The pączki are very similar to our American jelly-filled doughnuts in the U.S., but perhaps a bit more egg-y in texture. Unfortunately, this year, I won’t be sampling any pączki since I’m on my gluten-free diet. Sadly, my husband will have to eat my share of doughnuts too! 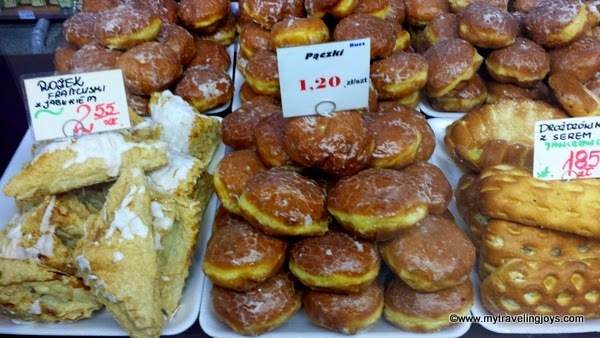 The piles of pączki sold at large grocery stores like Carrefour are very non-traditional in their brightly colored icings. If you’re not sure where to buy your pączki today, my sweet Polish friend Magda has taste-tested several here in Warsaw. 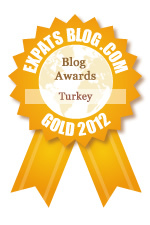 Check out her recommendations at her blog: Crust & Dust. Her post is in Polish, but it’s fairly easy to figure out the addresses of her recommendations. 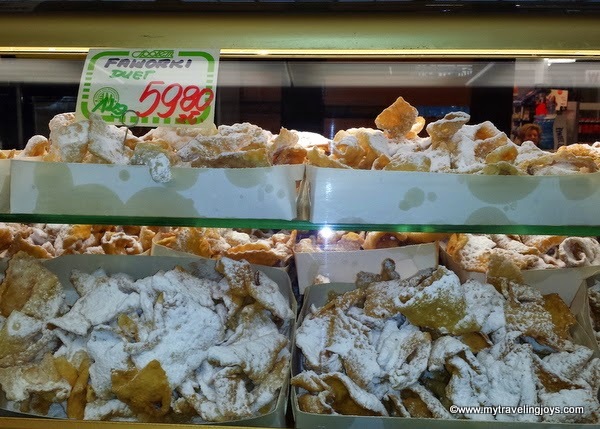 Another Fat Thursday favorite in Poland are faworki. Nicknamed “Angel’s Wings, these thin, crispy ribbons of pastry dough are fried, and then sprinkled liberally with powdered sugar. I saw a bunch of these for sale while I picked up some fresh produce at Hala Mirowska yesterday. If you’re celebrating today, please enjoy a sweet pączki for me too!